Countdown to the state assessment can be started six weeks in advance to give your students some additional test preparation. 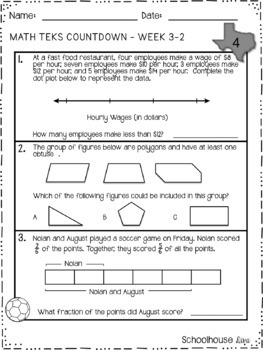 These worksheets can be used as a morning warm up or sent home for a quick homework assignment that won’t overwhelm your students or parents. 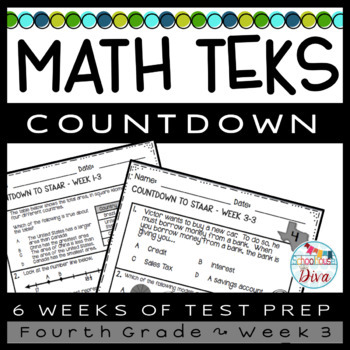 ** The concepts in this set of worksheets do not cover all the TEKS; however, all TEKS standards for 4th grade will be covered in the six week set! 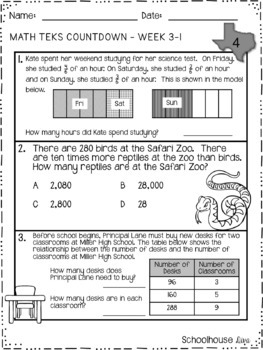 You can also use this product in conjunction with my other TEKS aligned resources!